When videos recorded on a DV camcorder tape are captured into DV AVI files on a PC, the time codes (date/time when the tape was recorded) are transferred along with the video/audio data to the files. But the time codes are not visible when you view the DV AVI files. When you use DVD author tools to convert the DV AVI files to DVD files, the time codes get lost. 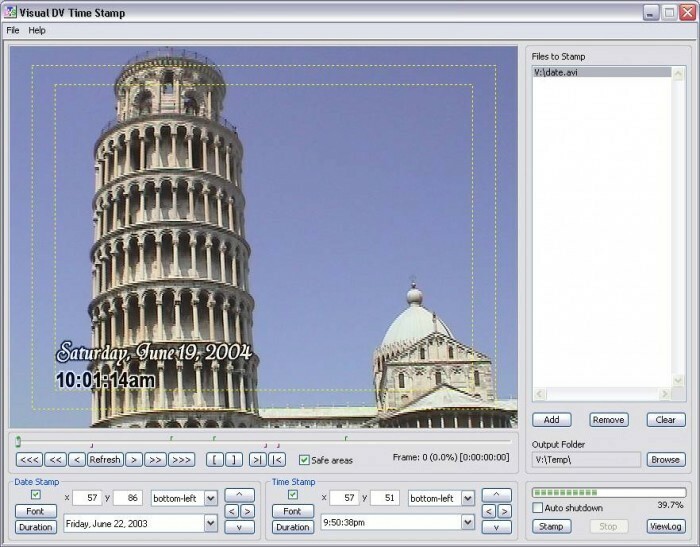 By using Visual DV Time Stamp (vDTS), the time codes are extracted from the DV AVI files and superimposed onto the videos. This way the date/time will be visible when you view the DV AVI file, consequently the DVD you make from the DV AVI files will have date/time displayed.